Our mission is to offer an innovative and sustainable solution for all coffee lovers while maintaining the coffee-to-go-philosophy. With our vision to revolutionize the coffee-to-go market and make disposable cups disappear forever, we want to contribute to a world with less waste and less resource consumption. 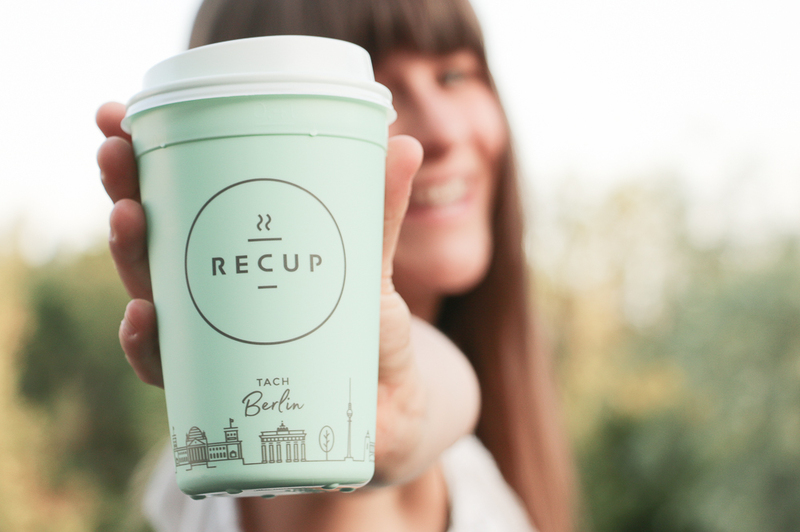 RECUP was founded by Florian Pachaly and Fabian Eckert who were shocked during their university time at how many disposable cups are thrown away after a few minutes use. They got in touch after presenting their idea to Julia Post from Coffee-to-go-again. A lot has happened since we founded reCup in September 2016. On November 2nd 2016 we launched a pilot project in the Bavarian city, Rosenheim, a small town next to Munich. Our biggest concerns included: Will the coffee shops and their customers accept the offer? Can such a system work city wide? How important is the cup design - our first product wasn’t quite what people would describe as “beautiful”!? We gained a lot of experience during this pilot project and managed to collect a lot of information from our customers. Furthermore, the media picked up positively on our project and we were invited to TV shows, Radio interviews, etc... The result: we decided to continue, expand to further cities in Germany and eventually founded reCup GmbH to expand our scope of action. In December 2016 we started to redesign and further develop the RECUP brand. Meanwhile, we took another big step and fused with JustSwapIt, a startup from Berlin, doing exactly what we did. We joined our forces with JustSwapIt founder Clemens Pech under the brand name RECUP and managed to push our idea forward. 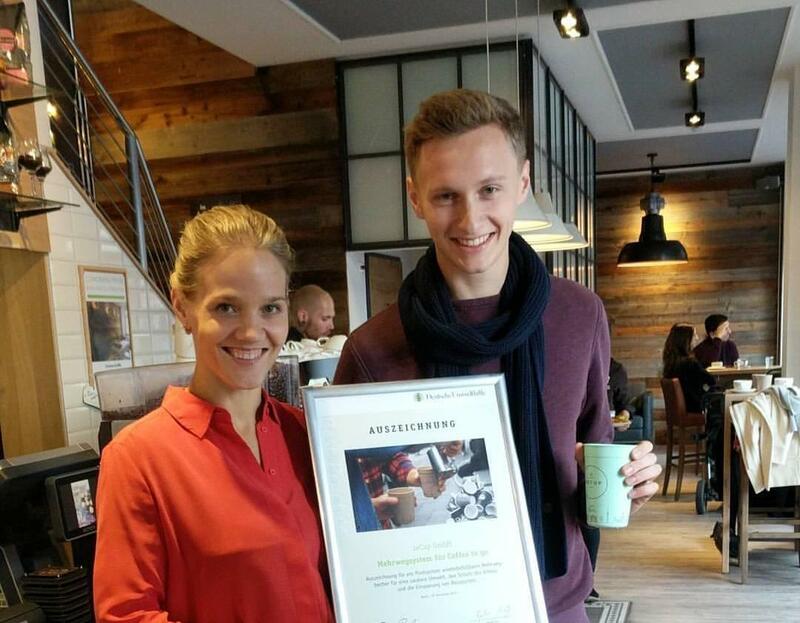 In May 2017, we officially relaunched with our new design and are now able to provide our system to partners and coffee lovers all over Germany. So far, we officially launched in Munich, Berlin, Cologne, Ludwigsburg, Oldenburg, Rosenheim, Wasserburg with more cities to follow. The more partners we get to join our system, the higher the convenience factor for coffee drinkers. 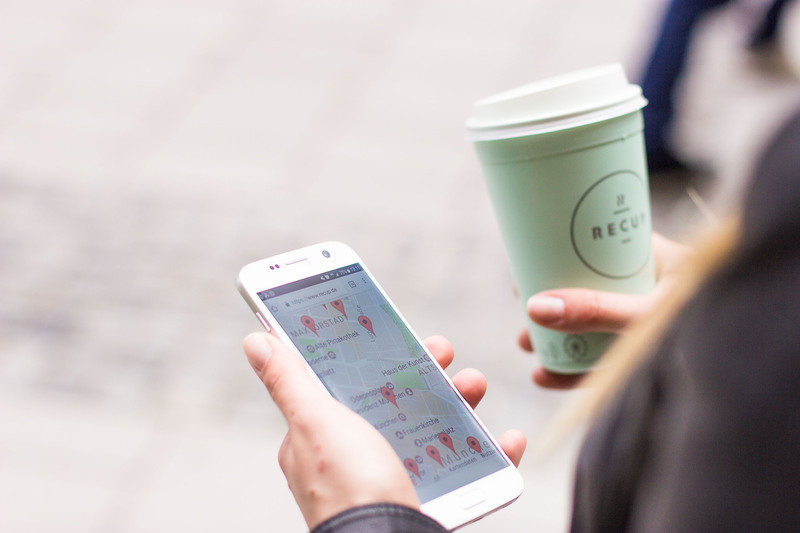 Being able to pick up and drop a RECUP at any coffee shop in Germany or further - that’s our goal. Even though we focus on replacing disposable coffee cups, we feel that our action has a larger impact in creating awareness for sustainable usage of our resources with a product/service that everyone easily understands.